At last, you’ve finally wrapped up your stressful midterm exams, typed that dreadful research paper for your professor that smells like cheese and are ready to start planning a relaxing yet event-filled fall season. Whether you’re a native of the eccentric city of Louisville, KY, or are visiting from out-of-town (Hi - we’re happy you’re here!) there is never a dull moment in this bustling city. Lucky for you, Louisville is at one of its busiest times of the year during this exciting fall season. Whether you’re a die hard Cards fan (#L1C4) and are interested in cheering on the Louisville Cardinals to victory in the 55,000+ seater, Papa John’s Cardinal Stadium, or would rather attend a groovy concert at Headliners Music Hall or the KFC Yum! Center, we meet all of your touristy needs and more here in the ‘Ville. Personally, I’m looking forward to endless amounts of art gallery hopping, boutique shopping and coffee sipping this fall! Speaking of art galleries, one of my all time favorite art festivals to attend is the St. James Court Art Show. This one of a kind fine arts and crafts show hosts over 750 artists from all over North America. 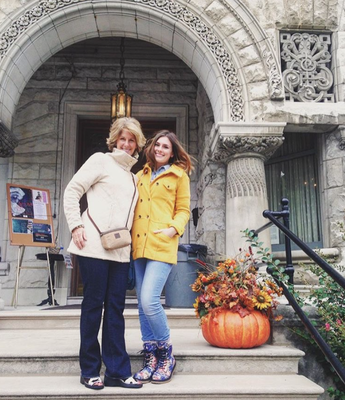 Held in the heart of historic Old Louisville, the St. James Court Art Show is an amazing excuse to explore impressive artwork with friends, take too many pictures and indulge in copious amounts of pumpkin spice lattes. Speaking of pumpkin spice lattes (I know, I know…) Louisville is the heart of deliciously rustic coffee shops and quaint tea houses. A Louisville favorite, one can always depend on Heine Bros. Coffee to satisfy their pumpkin dreams with their signature pumpkin pie (yes, I said pie) latte brewed specifically for fall. 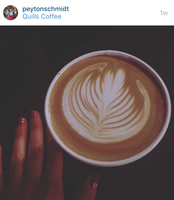 However, if you’re looking for a nice cup of java for any other time of the year, I personally recommend Quills Coffee. If you’re lucky they may even fancy up your coffee with picture perfect foam art for Instagram! Another festival favorite of mine that takes place during fall is the Nulu Fest. 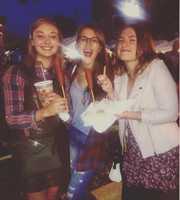 Located on East Market Street, the Nulu Fest is a huge block party for downtown Louisville lovers with lots of delicious food, vendors, live music and more. After you’ve visited Nulu, be sure to drive down to The Highlands, or dare I say, “The Land of the Hipsters,” located on Bardstown Rd. The Highlands is full of quirky boutiques, restaurants and record shops all awaiting your arrival. As a Louisville native and Bardstown Rd. enthusiast, I have my fair share of boutique favorites such as Pitaya, General Eccentric, Acorn, Wild Fox and Urban Attic. Better Days Records and Great Escape, a comic book shop, are some hot spots too! One of the many reasons I love Louisville is it’s enthusiasm for the Performing Arts. That being said, Louisville is the home to several theatres including the Louisville Palace, The Kentucky Center of Performing Arts and Actors Theatre. If you’re here for the week check out “Fifth Third Bank’s Dracula” at Actors Theatre, a local Halloween “must-see!”, running from September 11 - November 1. At this point, you’re probably thinking, “Okay now all of this sounds great but when is she going to tell us where to eat? What about the food for Pete’s sake?” Have no fear. Though we love keeping our tourists entertained, the people of Louisville also love to eat. For me, it’s all about the scenery. I want to enjoy my food just as much as the atmosphere of where I am eating. My favorite restaurant go-to is Dragon King’s Daughter. If you’re a fan of incredible sushi, people watching and low lighting (as well as low prices), this place is for you. Other Louisville dining favorites include Jack Fry’s, the Mayan Cafe, Wild Eggs, Mussel & Burger Bar, Rye on Market and the Troll Pub. Also- if you’re reallyinto atmosphere as well as getting a bang for your buck, I recommend Rivue, a rotating dining room that gives customers a 360 degree, up close and personal view of the glistening Louisville skyline. For dessert (I know I am RELENTLESS! ), don’t forget to stop by Gigi’s Cupcakes and try their Pumpkin Spice Latte or S’mores cupcake baked specifically for fall.